The Chain of command leads from the President (as commander-in-chief) through the Secretary of Defense down to the newest recruits. 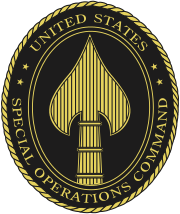 The United States armed forces are organized through the United States Department of Defense, which oversees a complex and complicated structure of joint command and control functions with many units reporting to various commanding officers. 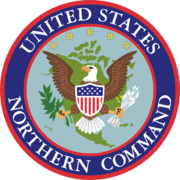 The following is an incomplete list of the various major military units, commands, and DOD offices and agencies, including civilian and military chains of command. 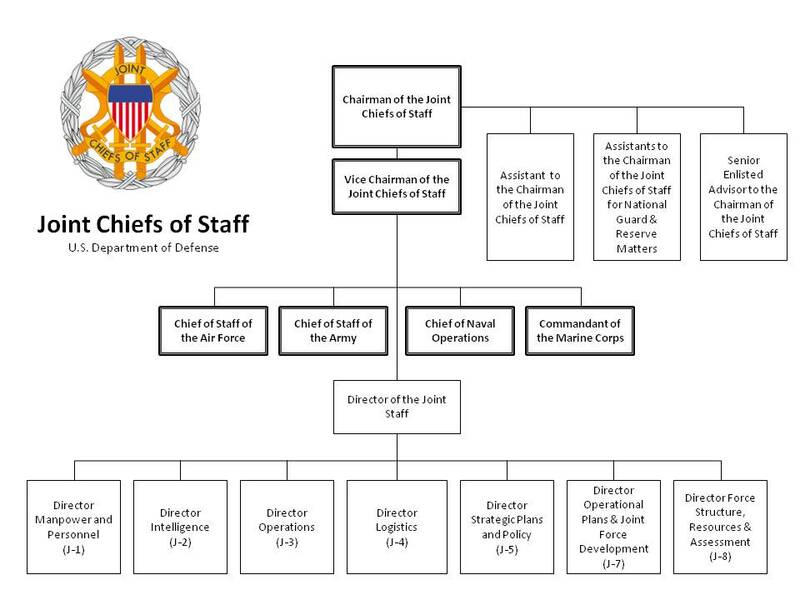 Organization Chart of the Office of the Secretary of Defense. 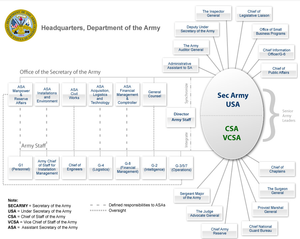 Chart summarizing the organization of the Department of the Army's Headquarters as of 2010. Basic Organization Chart of the United States Department of the Navy. 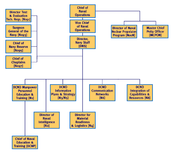 Basic Organization Chart of the Shore Establishment of the United States Navy. Basic Organization Chart of the Operating Forces of the U.S. Navy. 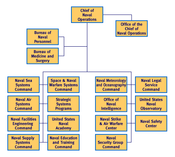 Organization Chart of the Office of the Chief of Naval Operations. 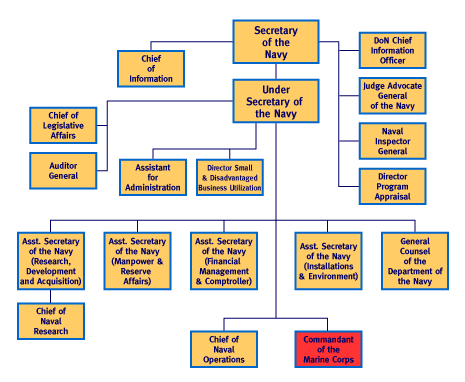 Organization Chart of the Office of the Secretary of the Navy. ↑ "Functions of the Department of Defense and Its Major Components". Defense Technical Information Center. http://www.dtic.mil/whs/directives/corres/pdf/510001p.pdf. ↑ "U.S. Department of Defense Organization Chart". DoD Public Website. http://www.defense.gov/orgchart/.